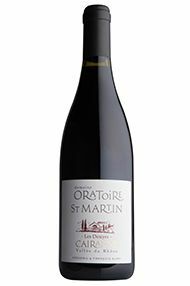 Our search for a top-notch Cairanne has led us to the Alary family in L’Oratoire St Martin. The family can trace its origins to the same decade as Berry Bros. & Rudd (1698 for us, 1692 for them) and now farms over 28 hectares, in the middle of which there was once, apparently, an oratory of some description. Low yielding old vines are farmed biodynamically and the wines are vinified first in opentop fermenters and then in large foudres of 3,400 litres. 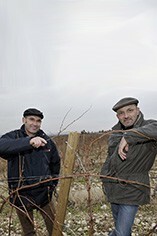 Cairenne reserve des Seigneurs is produced from vines planted on clay-limestone soils and 50-year-old vines. 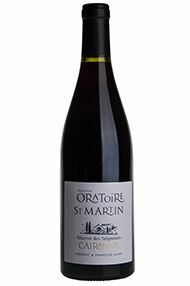 The blend is made up of 60% Grenache, 30% Mourvèdre and 10% Syrah. Pumping over for 12 days, followed by nine months’ ageing. cuvée is packed full of dark berry fruit, sweet spice and herbs. It has, however, managed to maintain its freshness with good acidity intertwined with very fine dark tannins which make for a long cool finish. Drink now to 2024. 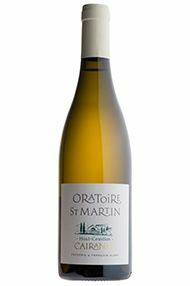 Although it only makes up 30 percent of the blend, Marsanne from 75-year-old vines, is very evident in the blend, recalling Hermitage with its waxy subtle complexity. The balance is shared between Clairette, Roussanne and Grenache Blanc. White flowers, pineapple and grilled almonds lead the descriptors, alongside something a little more tropical. Drink 2019-2021. The Réserve des Seigneurs has significantly less Grenache this year (40%), with a higher proportion of Mourvèdre (40%) and Syrah (20%) compared to the 2016. This has not been detrimental to this delicious cuvee, however, with opulent layers of pepper, violet and black fruit combined with liquorice spice. A luxurious, silky texture is complemented by fine-grained, powdery tannins and brisk acidity. Drink now to 2025.